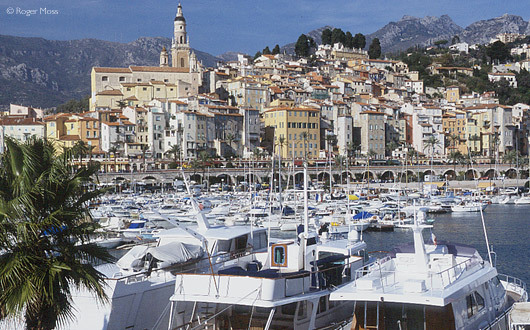 We’re on the second leg of the Route des Grandes Alpes, a scenic touring itinerary following the mythical cols and valleys of the French Alps from Lac Léman to the Mediterranean sea. In this section we travel from the Beaufortain to Briançon. After the winding, initially-wooded ascent from Beaufort-sur-Doron and its cosy neighbouring valleys, the final push up onto the Cormet de Roselend (1967m) feels almost like entering another country. This famous Tour de France stage now passes the Lac de Roselend, created with an 800m-long barrage to provide hydro-electric power in 1961. A top-of-the-world remoteness heightens the haunting, wild natural beauty of a landscape which takes its name from the annual colourful blossoming of naturalised rhododendrons. From here the Route continues to climb, passing through craggy and often snow-covered landscapes, which add a tangible sense of drama to this section of the Route. The climb continues past the Belvedère de la Tarentaise, only finally relenting when we reach the Col de l’Isèran…, one of the highest passes in Europe. The onward descent through Bonneval-les-Bains is a more relaxed affair, however, and is eventually rewarded by the welcoming sight of Bourg St Maurice. The bustling town (whose rail terminus receives Eurostar direct Ski-Train services each winter) is overlooked by the family ski station of Les Arcs, linked by the sensational Vanoise Express cable car to neighbouring La Plagne creating the vast Paradiski area. 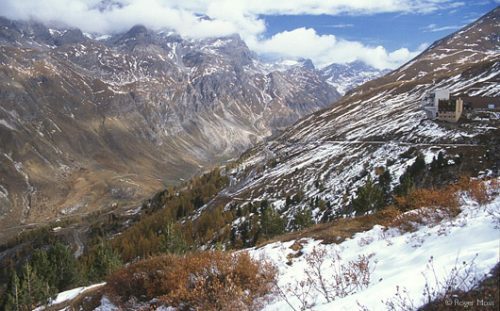 From ‘Bourg’ the Route climbs once again, this time into the Tarentaise National Park. The road threads its way through a deep valley below the very different ski stations of La Rosière, Villaroger and Sainte-Foy Tarentaise, while pale aquamarine glaciers ooze silently over the nearby mountains. 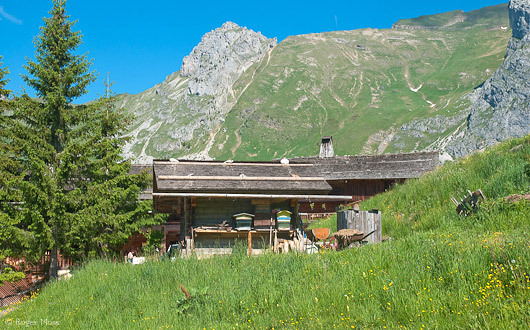 An indication of the seasonal extremes is conveyed by the nearby presence of montagnette farming villages like Le Monal, constructed for summer occupation only. Things open out briefly beside the vast concrete barrage of Tignes-le-Chevril, topped by the road providing access to Tignes, part of the famous Espace Killy ski area. The Route, however, now enters the series of tunnels before passing through Tignes’ illustrious partner ski village, Val d’Isère. 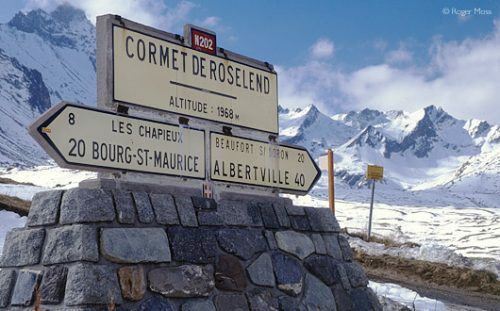 After passing through the heart of the village and its smaller neighbour Le Fornet, the road turns and climbs gently at first before scaling the valley side more determinedly between piste-markers, a reminder that each winter the road is covered by a scenic ski piste. The climb continues past the Belvedère de la Tarentaise, only finally relenting when we reach the Col de l’Isèran (2764m), one of Europe’s highest passes. 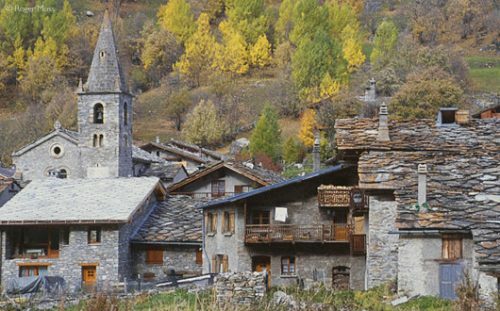 It’s an exposed, often wind-blasted spot, and there’s a real sense of achievement on the triumphant long swoop down through the Parc National de la Vanoise towards Bonneval-sur-Arc (1800m), unquestionably one of the most beautiful and best-preserved mountain villages in France. Bonneval also offers downhill skiing, and there’s much more in Lanslevillard, Lanslebourg and Termignon, in the Val Cenis Vanoise ski area. Just across the Col du Mont Cenis (painted by JMW Turner in 1820) lies a vast lake set beside the old trade route to Turin. Today the valley hosts the final stages of La Grande Odyssée, an annual dog-sledding event attracting professional teams from throughout the world. 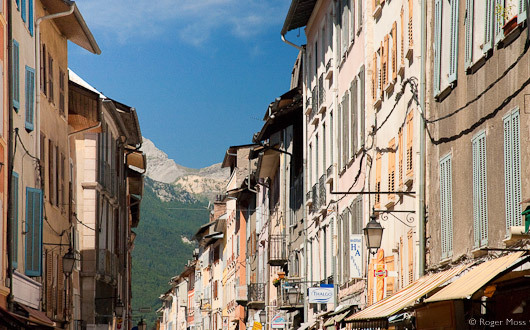 Pressing on down the valley past Bramans, the family ski station of La Norma and the remarkable Fort d’Esseillon, we reach the Maurienne Valley, a busy centre for local industry. Near Modane lie the trans-Alpine Frejus road and rail tunnels, the latter commenced under Sardinian territorial rule and completed in 1872. Beyond Orelle (whose cable-car accesses Val Thorens and the huge Trois-Vallées ski area) the bustle is soon left behind, as we join the legendary climb to the Col du Télégraphe, another classic stage of the Tour de France, spiralling relentlessly through tree-lined hairpins to the 1566m summit (from which military telecommunications were pioneered during WWI). From here we sweep down into the ski village of Valloire, before another climb injects a sense of drama. Eventually the route is reduced to a narrow ribbon of tarmac set between vast walls of grass-clad gypsum, and the final ascent creates an eerie sense of remoteness plus an occasional dusting (or more) of snow. When the summit of the Col du Galibier (2645m) is closed by unseasonal snowdrifts travellers can generally continue the journey, thanks to a 370m-long single carriageway tunnel opened in 1890 around 100m below the Col. In fine weather emerging from the far end brings a heart-stopping panorama towards the Parc National des Écrins, while at the roadside is a monolithic monument to Henri Desgranges, creator of the Tour de France. Welcome to the Briançonnais. Below le Galibier the Route joins the main road from Grenoble at the Col du Lauteret (2058m) for the long cruise down a broad valley through the villages of the Serre Chevalier ski area. Ahead lies Briançon, at 1326m Europe’s second highest city (and itself connected to the Serre Chevalier area by a modern gondola ski-lift). It’s a rich reward for the journey so far, with much to see in the historic Ville-Haute fortified during the 17th Century by military engineer Vauban, who added a formidable citadel-style defensive complex. 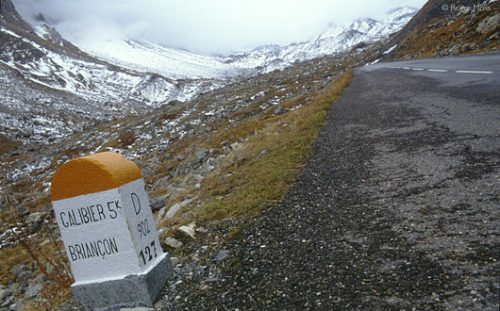 The Route was finally completed in July 1937, with the opening of the 2770m Col de l’Iséran. The website Cols Cyclisme publishes live information indicating the state of the Cols. The Info Route 05 website gives up-to-the-minute information on the state of cols in the Hautes-Alpes. The Association Grande Traversée des Alpes was created in 1971 to promote sustainable tourism and activities between Lac Lèman and the Mediterranean. 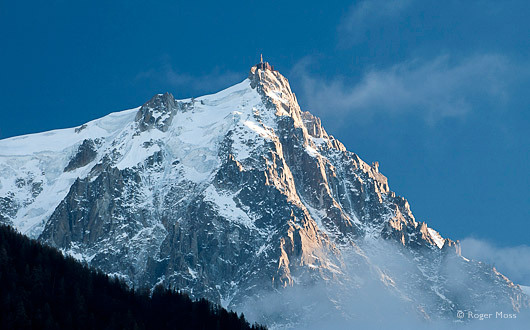 Its 'Move Your Alps' website (English version) details Alpine routes, trip ideas and accommodation. Located in the heart of the Beaufortain valley, Beaufort is the centre of production for the famous AOC Beaufort hard cheeses. The lake lives up to its “rose-land” name in early summer, when thousands of rhododendrons burst into vibrant bloom. The lake covers 320 ha and was created by the construction of the present barrage supplying water to the hydro-electric station of La Bâthie, some 120m lower. The glacier seeps across the peaks of the Tarentaise, high above the run up towards Tignes. The Fort, constructed between 1817-34 on five levels high above the Gorges de l’Arc, was originally designed to defend Piemont from French attack. Eventually the territory was ceded to France as part of Savoie. At the roadside just below the Col du Galibier stands the huge stone monument to Henri Desgrange, founder of the world-famous Tour de France cycle race. Well situated close to the town centre and a few minutes’ uphill walk from the walled city. 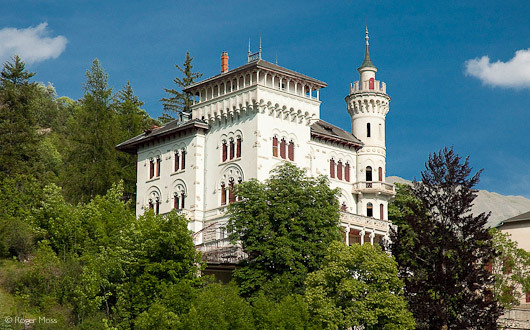 A family-run hotel, it’s comfortable with spacious rooms, some with views over the town. For breakfast, since you're almost in Italy, you might like to wander up to the excellent Italian patisserie in the old town.